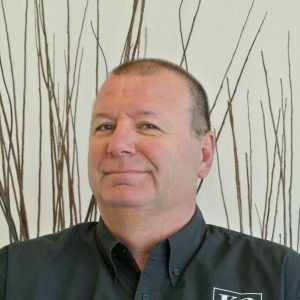 With more than 30 years of experience in the industry, Guy serves as a Senior Account Executive at K2 Design and Fabrication. Responsible for new business development and client relations, Guy regularly works with large, multi-billion dollar organizations ensuring that their market development programs are optimized for highest return on investment and exceeding client objectives. His goals? Make the client happy and help the client look good in front of their boss. Ensure that as a team, K2 exceeds the client’s expectations and that the program we deliver drives forward their business objectives. While his commitment to his clients keeps him busy year round, Guy, who recently bought a home in a resort community in Arizona, enjoys off-road adventures, spending time on his boat on the Colorado River, taking in the desert scenery, and traveling to the wine country.